Arbora Court | WALSH Construction Co. 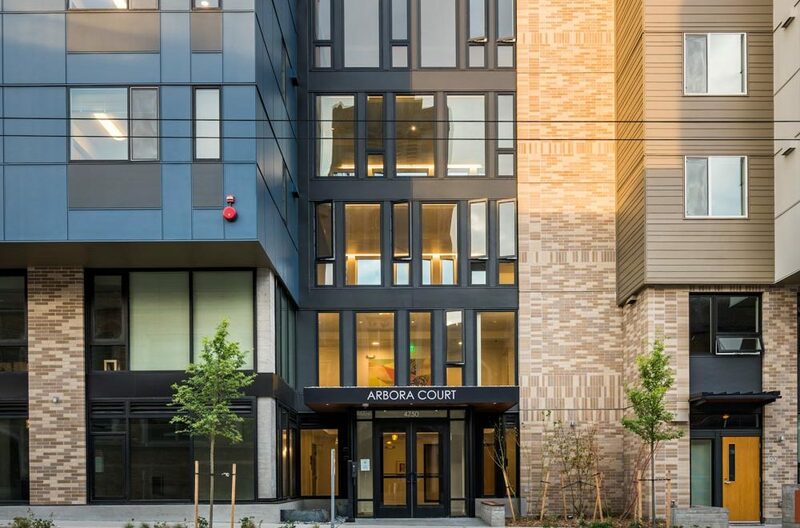 In response to a high demand for affordable housing units large enough to accommodate families, Arbora Court offers 133 residential units, approximately 40% of which are designed with two or three-bedrooms for families. Construction is five levels of residential space over two levels of concrete. 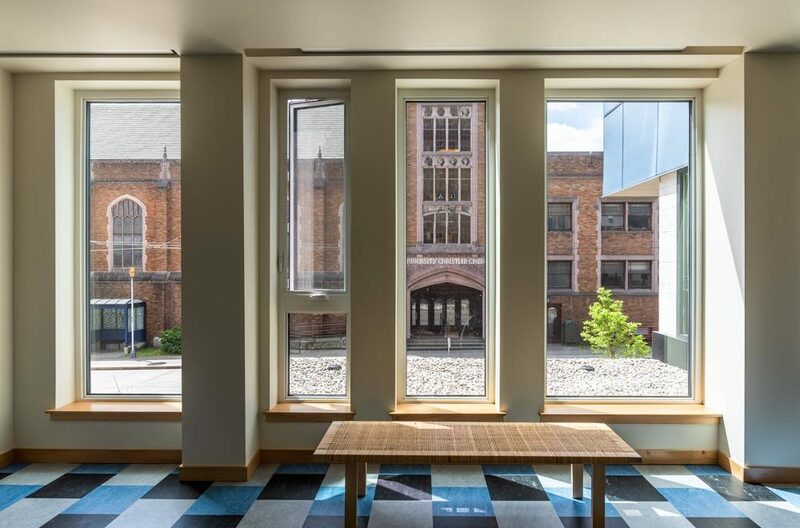 Special features of the 138,494 square foot mixed-use building include a rich mix of exterior materials, large windows, and a courtyard centered around a large maple tree. There are four exterior patios on the building – one on Level 7, and three on Level 3. 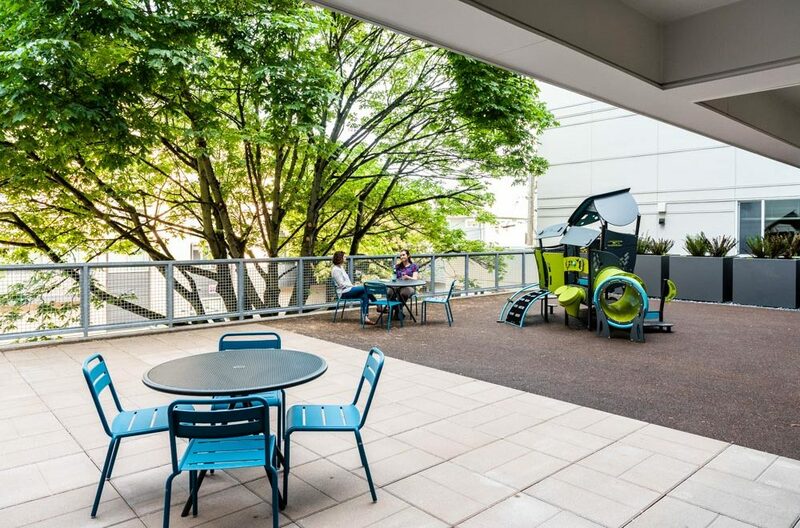 One of the patios includes a play structure for children next to the maple tree, which provides a natural backdrop to a safely contained outdoor space. There are two parking garages with 113 stalls that provide parking for residents and University Christian Church staff. 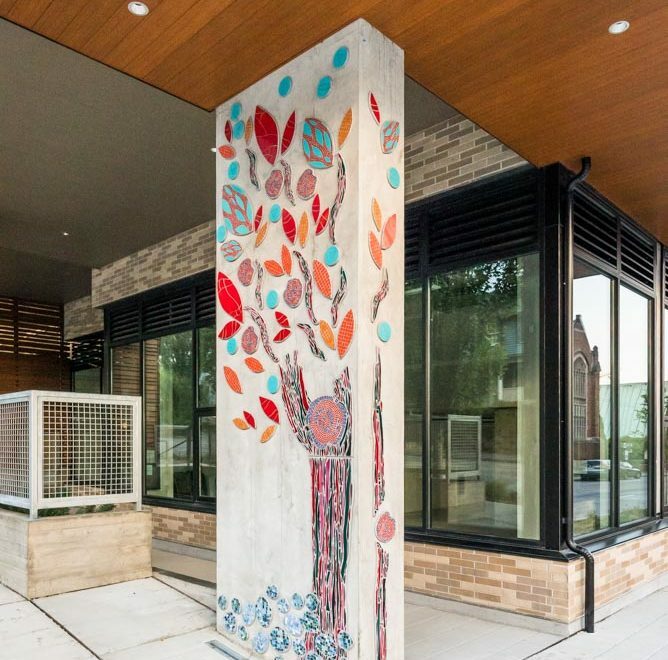 Artwork on the Northwest column consists of hand cut mosaic tiles in the shape of the preserved shade tree. A portion of the exterior concrete is board formed, adding an aesthetic appeal to the sidewalk. The project is designed and built to the Evergreen Sustainable Development Standards for Washington State. 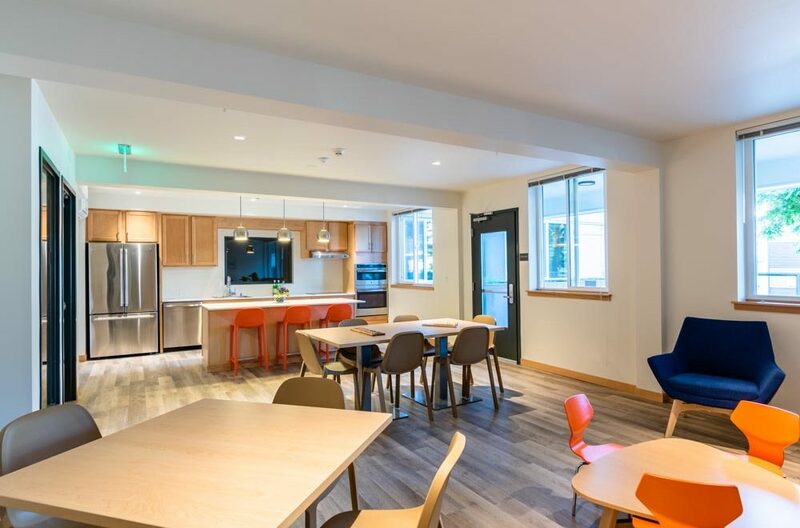 Arbora Court was named Affordable Housing Development of the Year at NAIOP’s 2018 Night of the Stars.